Last Thursday, I started drum lessons with two old friends. We were instigated by a Groupon and inspired to bang out landmark beats like the intro to Frankie Valli and the Four Seasons’ “Walk Like A Man” and “December 1963 (Oh What A Night)” (maybe I could even learn how to thunder road into “Born To Run”?). But when our slightly bemused, probably exasperated teacher tried to instill a basic three-thump rhythm into our limbs (we’re all athletes, but never have our arms and legs been tasked with coordination that felt so hapless), Zoe and I could only think of the Ronettes’ “Be My Baby”. Sitting in a soundproofed room no bigger than three by three meters, taking turns at two drum kits that took up most of the space and trying to find that three-thump via no particular logical methodology, brash clashes, thuds going awry and errant pounds bounced like spaceballs off the confines. Whenever I felt like I was on the cusp of getting it, my train of concentration would be broken by an assail of hits from either Zoe or Alvina. And I’d be back to just one hand forlornly producing a single staccato on the snare. Conceptually, this is how Phil Spector’s Wall Of Sound works – multi-layers of overdubbed disconnected musical ideas pulling in instruments and other vessels of sound that should not go together like rama lama lama ka-dinky dinky dong – that do. (Realistically, even the rattiest trash metal band would have rejected our nonsensical and noisy output.) In pop confection terms, Spector’s production technique is Vosges en vogue, conscientiously sourced instrumentation executed so skillfully that in his rich, lavish sonicphonies, which rarely last for more than three minutes, not a single moment is wasted on a tone, groove or flourish that doesn’t enhance the overall audio ecstasy. Which means Katy Perry is a faux Godiva diluted by Autotune so thin you can see through, more vanilla than the blandest white chocolate. Beyond opening “Dirty Dancing” so fabulously that it’s created a sub-iconic culture of its own vis-à-vis the movie, the thumps that blow open “Be My Baby” aptly capture what the Wall Of Sound is all about within five heartbeats. Ronnie Spector née Bennett’s vocal arches trajects over ringing rattlers and several blaring saxophone lines, and on the break, a violin goes soaringly solo, backed by Darlene Love and Sonny and Cher woah-oh-ohing out. 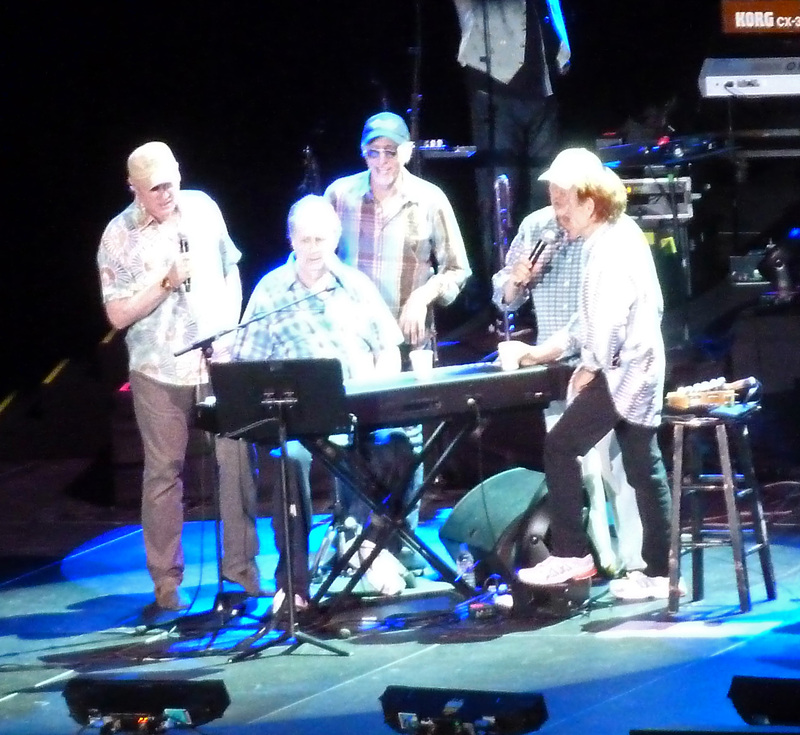 I’ve idolized Brian Wilson since I was 12, and of course, there’s no bigger Spector fan than him, and his greatest tribute to the maestro was to re-create the girl group renditions of of Wagnerian rock & roll as America’s pre-Summer Of Love summertime band, the Beach Boys. After the first two faddish albums, “Surfin’ Safari” and “Surfin’ U.S.A.”, Wilson got down to serious business with “Surfer Girl” – as soon as the first vocal bars of the title track crescendoes into an angelic chorale is the moment you can tell the genius has emerged frmo the boy. It was the turning point of Wilson’s career, and personally, no matter how often I listen to the track (a lot), I can’t help but coo over how lush it is, like the foam on top of a wave. One year later on “Shut Down Vol. 2”, Wilson’s response to “Be My Baby” unfolded in “Don’t Worry Baby”, which also features the same legendary Hal Blaine leading in with a characteristically masterful tempo. Multi-tracking wasn’t confined to just the music production – this plea of insecurity and fear before a drag race took the literacy of teen pop to a new decibel of poignancy, particularly in those days when Wilson’s falsetto preened like a peacock. I discovered Bruce Springsteen when I was 20, resulting from an animal magnetism to “Born To Run”; in particular, its opening. If you’ve ever wondered why that rhythmic drum boom roaring in never sounds quite as robust live (not due in any way to Max Weinberg’s all-or-nothing syncopation abilities), it’s because that track and its same-titled album were created with – yes, Wall Of Sound techniques. You can’t put a studio and its production gadgets onstage, but you can take a band out of the Jersey Shore bar, send them playing on some of the greatest albums ever made and around the world countless times over for 40 years, and still have them deliver night after night in a way the postman in the Marvelettes’ “Please Mr. Postman” and Elvis’ “Return To Sender” can never do. 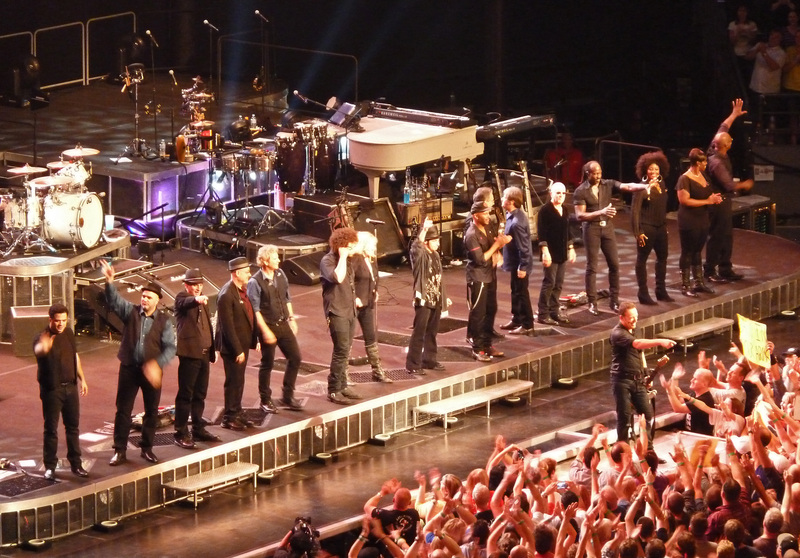 One of the greatest pleasures of E Street is their ability to play any song you throw at them at a show (Springsteen “humbly” attributes this to the fact that they remain a house band that has to take requests to fill a tip jar). They might need a minute to figure it out, but you can’t stump ’em. Two weeks after the death of the spiritual leader of every girl group that ever existed, songwriter Ellie Greenwich, the E Street Band tore through a cover of one of her everlasting compositions for the Crystals. Because, ya know, bands like them, baby, they were born to Da Doo Run Run! This entry was posted in Music and tagged be my baby, beach boys, brian wilson, Bruce Springsteen, da doo run run, don't worry baby, e street band, phil spector, ronettes, wall of sound by Desiree. Bookmark the permalink. I am fascinated with the simplicity of the concept of the wall of sound, and I think that Don’t Worry Baby is probably one of the most beautiful examples of it.